"You will be missed uncle Alvin ..."
"We will be thinking of you all, especially tomorrow at your..."
"Alvin was a great guy and turned Brian and I on to the..."
"Al was a good friend and always had a ready smile. He..."
"Alvin, like Jesus, went around doing good"
Alvin Charles Berg was born December 15, 1930 in Decorah, Iowa and died peacefully March 31, 2018 in Vancouver, Washington. He was born with a happy and good-natured soul to Mildred and Arnold Berg. Al had a deep compassion for others and lived with an enviable grace and enthusiasm for life. He was a man of gratitude and humility, founded in his Lutheran convictions. Alvin passed on the evening of Holy Saturday surrounded by his family, and in the tradition of the church, his family held vigil until midnight, welcoming Easter Sunday whereby he was seamlessly transitioned into eternal life with God in Heaven. Alvin graduated from Decorah High School in 1948 and Luther College in 1955. While attending Luther he married June Chase. His early career took his young family to Minneapolis, where he worked as an accountant at General Mills and Ford Motor Company. On December 30, 1962 he moved his growing family to Vancouver where he co-founded Criticare Medical Services. As the company took root he worked for Prudential Insurance and First National Bank of Oregon as a financial analyst, but soon transitioned to working full time for Criticare, which grew to be the largest medical supply company in the Pacific Northwest, serving hospitals and nursing facilities as well as homes. Al retired in 1990. Civic and social volunteerism became his passion and motivation later in life. Alvin was a member of Trinity Lutheran Church and St. Paul's Lutheran Church, Royal Oaks Country Club, Fairway Village Board, President's Circle - Life Member of the Luther College President's Council, Emeritus Member Concordia University Foundation Board, Vancouver-Clark Parks and Recreation Advisory Commission, Founding Member of the Parks Foundation of Clark County, and fundholder at the Community Foundation of Southwest Washington. Al especially enjoyed his weekly breakfast group, poker group, bridge club, and was a member of several choral groups and barbershop quartets. He was an avid Seahawks fan and held season tickets since 1978, attending games until recently. He enjoyed gardening and nature, spending time in area parks and hiking the many trails of southwest Washington, particularly the Columbia River Gorge. Alvin was one of America's original road trippers, enjoying a million miles of driving through scenic areas in the Pacific Northwest and across the United States and Canada. His favorite and most frequent destination was his hometown of Decorah, Iowa. It is there he inspired a Berg family reunion three years ago, being held this year on May 19. He will be sorely missed by the Berg family at this year's event. Alvin also loved to visit other countries, especially Norway. 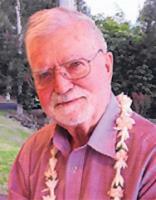 He had many overseas experiences including Europe, Hong Kong, Australia, and New Zealand. He particularly enjoyed Luther Alumni trips accompanying the Luther College Nordic Choir as they performed across Europe. His greatest joy in life came from his children and grandchildren, with whom he spent much time and shared many travel adventures. Alvin is survived by three children: Marc (Diane) Berg, Susan (Norman) Turgeon, and Brian (Jeannie) Berg; his grandchildren Alex, Eric, Lauren, and Jordan Berg, and Kevin, Ryan (Megan), and Kendall Kramer; great grandchildren Reece, Maxton, and Adele Kramer; his sister Jerrine (Karl) Jacobsen of Decorah, and numerous beloved nieces and nephews. All are grateful for the experiences he created and shared. 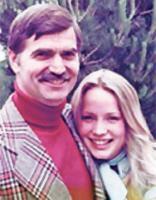 Alvin was preceded in death in 1976 by his beloved daughter, Mary Berg. Alvin made arrangements to memorialize Mary in the Headwaters Wall feature in the Vancouver Waterfront Park, to be dedicated this fall. He was also preceded in death by his wife Marie "Babe" in 1987, and in 2009 by his wife Marilynn "Mo". A Celebration of Life will be held on Sunday, April 15 at 1:00 at Fairway Village Clubhouse. Private burial will be held at Evergreen Memorial Gardens. The family requests memorial contributions be made to St. Paul's Lutheran Church, 1309 Franklin St., Vancouver, WA, 98660 or Community Foundation for Southwest Washington (Waterfront Park Project) 610 Esther St., Suite 201, Vancouver, WA 98660. The Vancouver Waterfront Park was a source of tremendous pride for Alvin.